It is said that all Chinese people have a common ancestor: Xuanyuan Huangdi, or the “Yellow Emperor.” The first ruler of lands that would later become China, his reign began in 2697 B.C.E. when he united the tribes of the Yellow River plain under a single government. 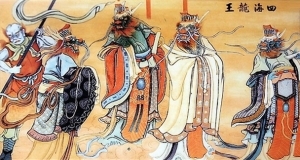 The new emperor had four faces that could gaze upon his lands in four different directions, and was accompanied wherever he went by a procession of animals. A Taoist cultivator, he, after many years, abdicated the throne, left the affairs of the empire to his ministers, and retired to attend to his burning pursuit of spiritual perfection. He obtained it, and ascended to the heavens astride a dragon under broad daylight, for all his subjects to see. This blend of fantastical and historical shrouds our memory of Huangdi. He is by turns an emperor, an inventor, a founding father, and a deity. 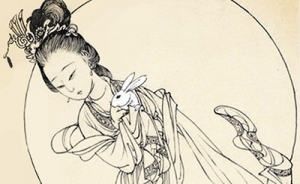 While some modern scholars argue that he was a legend who was recorded into history as if he were an actual man, ancient Chinese scholars wrote of him as a real historical figure who later became a legend. 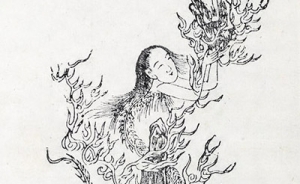 Was he, then, the divine progenitor of all Chinese people, who fought the Wind God and the Rain God with the help of his own daughter, the Drought Goddess? Or was he an ancient ruler who built roads between princedoms and now lies buried in Shaanxi province? 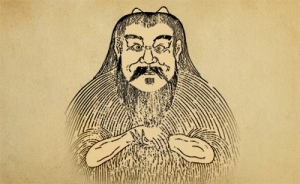 Or was he really one of the earliest recorded Taoist cultivators? Maybe he was some of everything. According to one legend, he commanded his minister Lishou to invent mathematics, and Cangjie to develop China’s oldest written character system. His first wife Leizu discovered silk and sericulture. His fourth wife Momu helped invent the mirror. The man himself had a hand in inventing numerous useful items such as the calendar and the compass. The 2006 Shen Yun dance Resounding Drums recalls the legend of how the Yellow Emperor invented the drum—not only as an artistic instrument but also as an instrument of war. The thunderous charge of his battle drums boosted his army’s morale and sent his opponent’s forces scattering. As legend goes, his own troops were also shaken, and so he invented the plucked-string guqin to soothe their spirits. 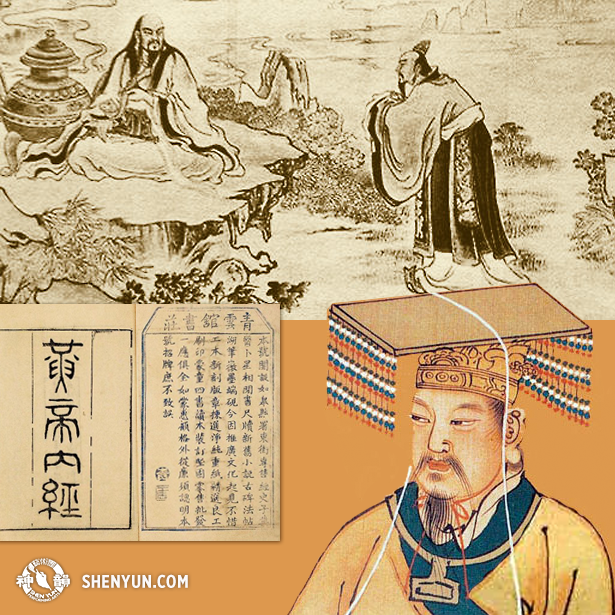 And what with music and medicine so intertwined in ancient Chinese thought, it may be unsurprising that he is also credited for, among other works, “The Yellow Emperor’s Internal Canon” (黃帝內經 Huángdì Nèijīng), which is considered the oldest medical treatise in the world. Finally, there is also a case to be made that Huangdi could be the ancestor of many Chinese people. 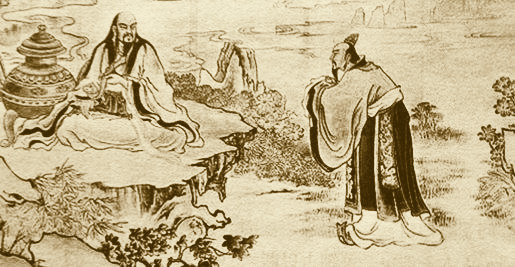 The Grand Historian, Sima Qian, records that Huangdi had 25 sons, 14 of whom received their own surnames, beginning the clans that would populate the Yellow River plains thousands of years later, and shaping the bloodlines of what would become the Middle Kingdom.